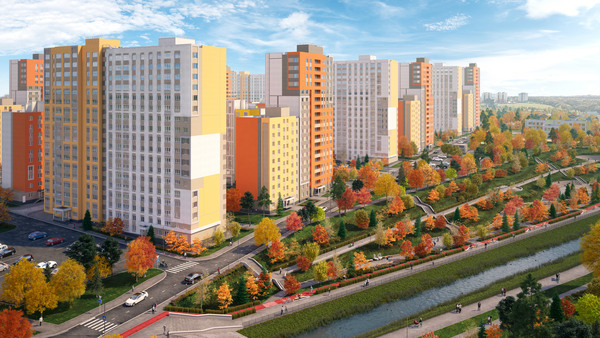 "Novaya Kuznechikha" is a new residential complex from "Stolitsa Nizhny" development company. It is located in the Sovetsky district of Nizhny Novgorod, in close proximity to the nature monuments "Botanical Garden" and "Shchelokovsky Farm". 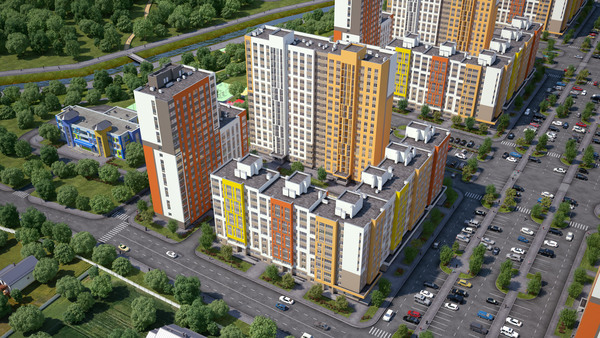 The first stage of the complex will consist of 12 blocks, including 37 houses of different number of floors. The neighborhood will have its own infrastructure: kindergartens, schools, polyclinics, sports and leisure centers and sports facilities. The first houses are due in Q1 2019. Main advantages: modern technologies of construction, convenient layout of apartments, comfortable density of construction and affordable prices. 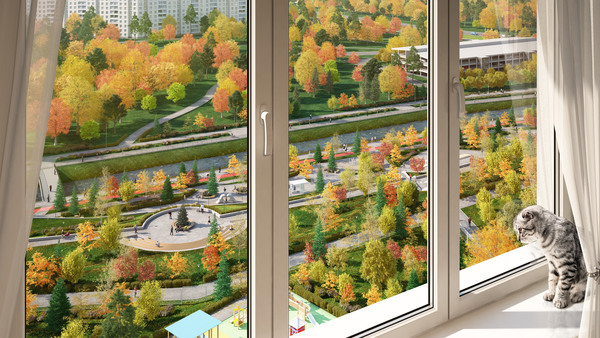 Residential complex "Novaya Kuznechikha" combines the advantages of living near the forest and close location to the transport hub. "Novaya Kuznechikha" is a contemporary complex divided into quarters (blocks). Each block includes three houses, forming a spacious, square courtyard, which is the center of everyday life, a place for walking, relaxing and socializing. The residents perceive this intraquarter territory as their personal, and feel comfortable there. A variety of facade decoration of houses helps escape the monotony of the perception of a residential area, while stained glass and light warm colors create an indescribable atmosphere of coziness and friendliness. 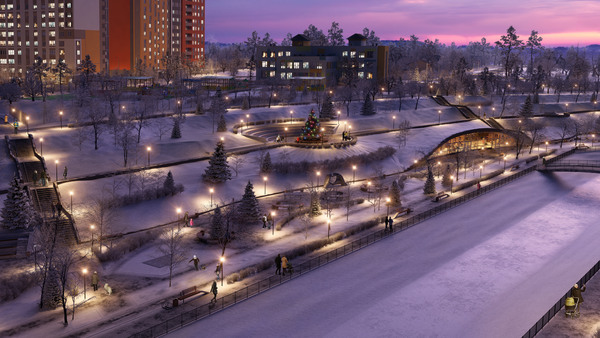 In many respects, the architecture of the project was determined by an interesting natural landscape and the presence of a recreational zone near the natural stream, which makes the neighborhood unique and recognizable. 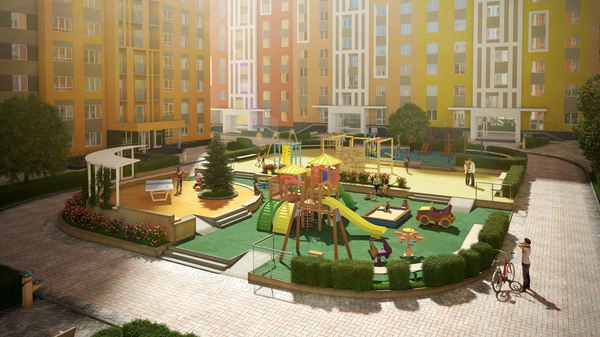 The architectural concept of the residential complex "Novaya Kuznechikha" creates a cozy space for life and recreation. The house entrances and the elevator halls are on the same level with the sidewalk so that you can easily bring a stroller or suitcase. Thanks to the stained glass, there will always be enough light in all public areas. The navigation inside the houses is well-thought-out: you can to leave both to a court yard, and to street. Specially for families with children and sportsmen there are sections for storage of things, wheelchairs and bicycle parking, which any resident of the house can use. 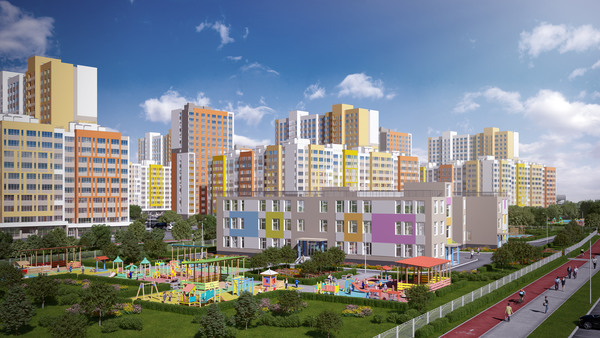 Quarter development of the "Novaya Kuznechikha" implies a closed yard, thus creating a separate space where it is more comfortable for young and older people to get acquainted and build real good-neighborly relations. In addition to a cozy atmosphere, such yards are also a good safety feature for children, as they are fenced off from the roadway and parking areas. Rest zone in the “Novaya Kuznechikha” provides free Wi-fi and drinking fountains. The whole complex is a vast, well-developed territory with landscaping, stylized children's towns, boulevards, sports areas with pedestrian and bicycle paths. The peculiarities of the project include a recreational area with a natural stream - a place of attraction for all residents. For lovers of walking and dreaming, we offer a single pedestrian route, which unites all blocks of the neighborhood. 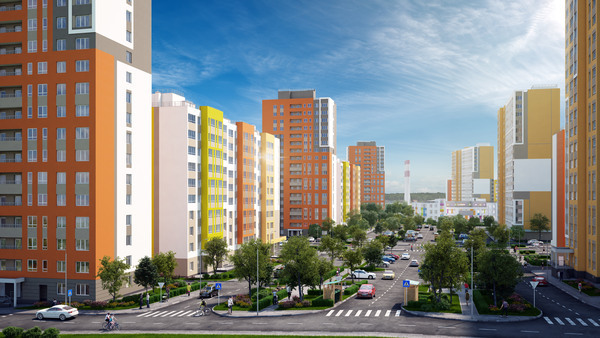 "Novaya Kuznechikha" will have 5 multi-level parking lots for 2400 cars and 2702 cars in an open parking area. Full information about the residential complex, as well as project documentation is available on the official website of the project: nk-nn.com.